I’ll get round to making some good asteroids one day. I decided that some rush jobs will do better than just flat templates in the game until I get time to make some better ones out of decent polystyrene. 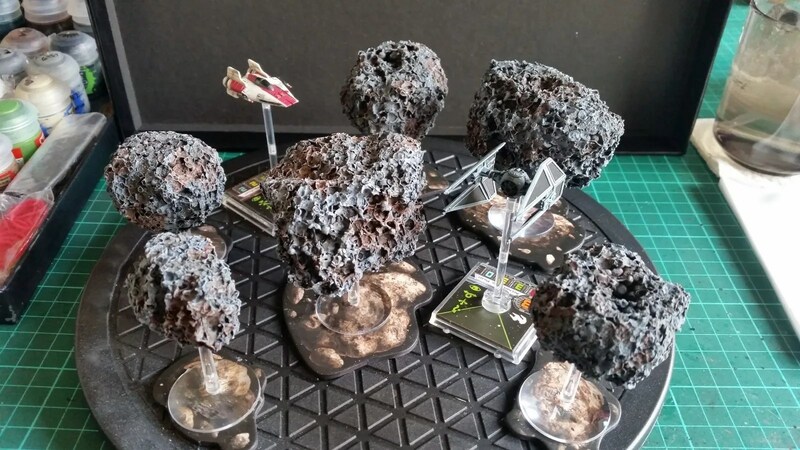 I made them by using a hot wire cutter to carve out some asteroid shapes. I sprayed them with good old trusty Halfords matte black car spray. It did the trick wonderfully melting the surface into pits and holes. Then it was a case of using the airbrush to respray black, then a dusting of grey and white from a distance. Some splodges of orange wash and brown wash, then when dry, drybrush slightly with light grey. Finished off by a coating of matte varnish from the airbrush. 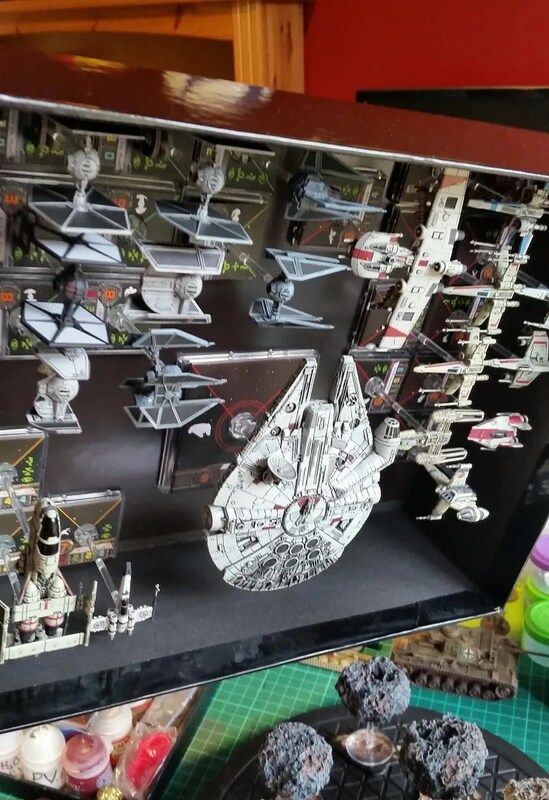 The stands were glued onto the X-wing game templates with clear glue. They actually look like they’re just stood on the template. 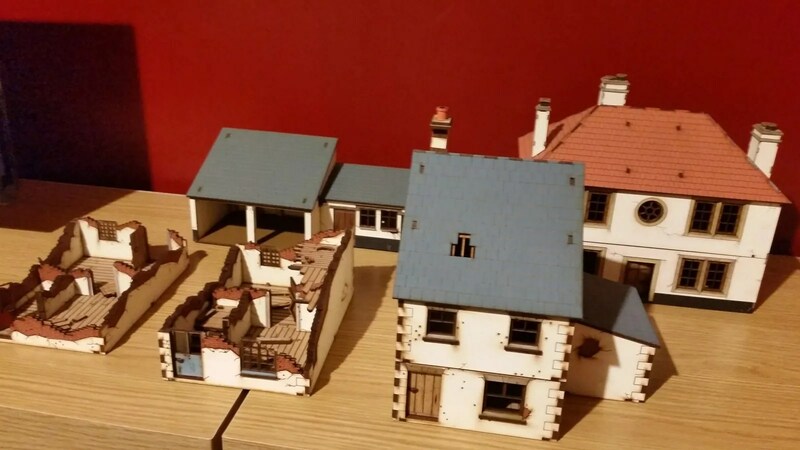 The only other things I’ve done hobby related recently are putting together a few 4Ground houses in the evenings. I’ve still got a large ruined detached house to make, but I’m giving myself a break from wood-glue, pegs, rubber bands and swearing for at least a week now. It’s a poor camera photo, but it shows the additions. Next up, I have a Panzer IV Ausf G to get painted and then build some of my Maelstrom’s Edge models which have sat neglected since they arrived over a month ago.